The AquAdvantage salmon was first created way back in 1989. Based on the Atlantic salmon, it’s modified so that it carries a growth hormone found in the Chinook salmon. That hormone is controlled by an extra piece of DNA taken from the pout fish, which boost its production. The result: the AquAdvantage reaches a size suitable for sale in about half the time it takes a normal Atlantic salmon to. 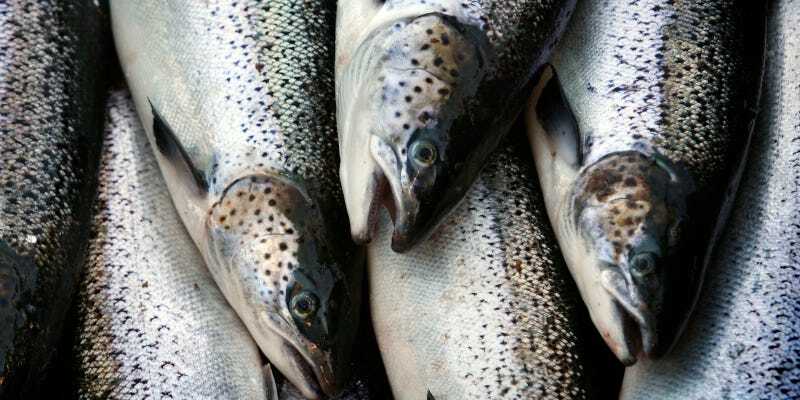 The authorization only allows AquAdvantage fish raised in specific facilities, found in Canada and Panama, to be sold in the U.S.. Those facilities contain safeguards to prevent the salmon from escaping into the wild. The FDA notes that these physical barriers “make it extremely unlikely that the fish could escape and establish themselves in the wild,” but also points out that it shouldn’t matter too much anyway: AquAdvantage salmon are reproductively sterile. If the labelling rules concern you, chances are that many retailers will choose to declare the difference anyway to keep consumers happy. And at any rate, when it comes to salmon you probably have bigger labelling problems to worry about.